In this one-day weekend workshop, students will research, design, prototype and test a mobile app for the public good. You'll learn about user-centered design, and how to quickly test your ideas to hone and refine them. At the end of the day, you'll have a clickable prototype and a case study that documents your process, and demonstrably contributes to a mission-based cause. In this project-driven course, you will produce a prototype and case study that demonstrates your focus and capabilities as a well-rounded UX designer with in-demand skills to prospective clients, investors, and employers. Your prototype and case study will showcase your ability to perform user research, strategize, wireframe, run usability tests, and to create live prototypes. Explore methods for influencing user behavior in ways that best meet your business goals, with an emphasis on driving traffic, retaining users, and reaching conversion goals. Within the lens of traditional usability techniques, learn how to address the three universal business objectives of public websites: driving traffic, retaining users, and improving conversion rates. Matthew Weber is an award winning UX designer and executive, who has had his work showcased by Apple and has lectured at NASA. He has a passion for making data easy to use, and is currently VP of UX and Design at Zoomdata, as well as a lecturer teaching UX and product design at Columbia University. 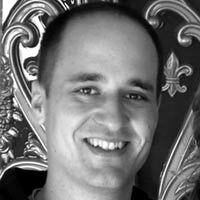 Matthew is the founder of the UX + Data Meetup, and is also an advisory board member for the UX Awards. See the whole spiel on his LinkedIn profile. Sorry, didn't you want to say something to me? Hmm, a human would know the answer to that. Copyright 2019 Matthew Weber, all rights reserved.